Baby shark do do do do do. I already need to apologize if I got that song stuck in your head but let’s face it, it’s been in all of our heads for months. Recently I did a nautical themed baby onesie station and I wanted to show you guys how I made these baby shark onesies. Besides my Cricut Maker my EasyPress is my most used and favorite crafting tool. In fact I actually have it in all 3 sizes. I talk so much about using the EasyPress that my friends and coworkers often ask to borrow it. Which means ::gasp:: taking it out of my craftroom. Baby showers can be a lot of fun but often times the baby shower games can be painful. Naturally instead of playing games I like to craft. Today I want to share how you can make a DIY onesie making station at your next baby shower. A DIY onesie station can be a fun interactive baby shower activity. If you do the prep work and make everything ahead of time it can be stress free and your guest will feel like they are creating a personalized gift. My Cricut's are my most used item in my craft room. I have been using my Cricut for over 2 years and I wanted to show you some of my favorite Cricut tools and accessories when crafting. Now it doesn't matter if you have the Cricut Explore Air 2 or the Cricut Maker these tools are versatile across both machines. I love switching out my wreaths for every season but it can be expensive. I’ve decided this past Fall that I am going to make a wreath for every season and holiday. This is the embroidery hoop wreath this past fall. I decide to make another one for Christmas. One of the reasons I love my Cricut is the ability it gives me to customize and create gifts. Today I am showing you how to use your Cricut and vinyl to create a fun and easy gift that is perfect for Mother’s day or even a teacher’s gift. St. Patrick’s day could be renamed national red head day. My whole life I get so much attention on this day because everyone assumes that I am Irish. I hate to break the news to you guys I am not Irish... I'm Scottish. We are speeding through January already. If you got a Cricut for Christmas break open that box or grab it off your shelf and let’s get to crafting for Valentine’s Day. Today I am sharing 5 Cricut Valentine’s day projects that I have done over the last two years everything from shirts to mason jar to actual valentine cards. When you think of paper crafts often time you think of flat creations, such as cards. Today I want to show you that you can make 3 dimensional sculptural pieces with your Cricut Maker using the scoring tool. In my craft room I have some fun and colorful backdrops that I wanted to use to make the space seem more fun and whimsical. I decided to make 3D paper stars. I cannot believe January is mostly behind us. That means it's time to start crafting for Valentine's Day. I want to share with you how to make kid's crayon valentines that are perfect for classroom exchanges. Valentine’s day is quickly approaching and I am still getting everything back together from taking down Christmas decor. With things looking sparse I thought it would be a great time to make a few new crafts for Valentine’s day including these DIY conversation heart mason jars. Valentine’s day is around the corner and my front door was looking a bit bare so I decided I needed to decorate it for Valentine’s day. Now a trick I have used over the years to jazz up my wreaths is to add a sign in the middle. Now I have had this pomegranate and red berries for years. In fact I bought it when I used to work at Restoration Hardware. Now the wreath was part of the Christmas collection but easily translates to Valentine’s day and this sign will help with that. Let's learn how to use the Cricut Maker scoring wheel. I've had my Cricut Maker for awhile but now I have all of the adaptive tool attachments. So today I wanted to share with you how the scoring wheel works by making paper rosettes. It seems like I'll never be done decorating my Christmas tree because I keep making more ornaments! I've had the Cricut Maker about a month and because it cuts thicker materials it seems like the options are endless for what kind of ornaments I can make. Embroidery hoops aren’t just for embroidering anymore. They make the perfect base for unconventional wreaths and ornaments. After making my Christmas embroidery hoop wreath I decided to find some smaller embroidery hoops to make ornaments. Now that I have both the Cricut EasyPress2 and the original Cricut EasyPress I thought I would tell you the differences so you can make an informed decision on which EasyPress to buy. My love for buffalo check is no secret so why would we expect a wreath any different? I love making embroidery hoop wreaths, they are unexpected but so simple and beautiful when done. I made this embroidery hoop wreath this past fall. I decide to make another one and wanted to walk you through step by step how to make an embroidery hoop wreath for Christmas. I am excited to show you guys my newest cutting machine the Cricut Maker! 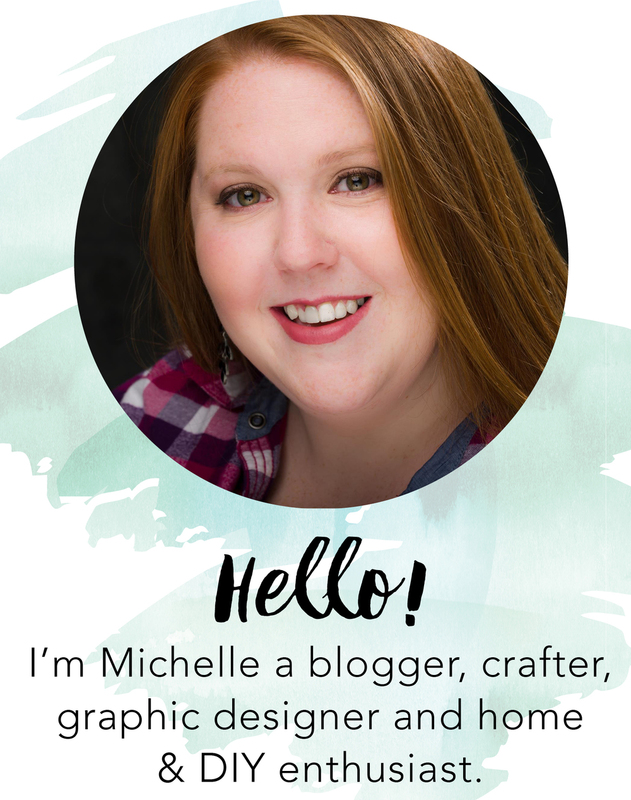 Today I am going to be answering some FAQ about the Cricut Maker and also showing you how to use the knife blade to cut chipboard. Now I have been using my Cricut Explore Air 2 non stop since I got it about 2 years ago. Here are some of my favorite Cricut projects I have made to date. Decorating for Thanksgiving is always fun because it perfectly integrates into Fall decor. Now I usually skip over decorating for Halloween and just decorate for Fall. This fall I have made an embroidery hoop wreath, buffalo check mason jar, buffalo check pumpkin and a pumpkin patch sign. Today I thought I would make a Thanksgiving mason jar sign with my Cricut Explore Air 2. I have been obsessed with buffalo check the past couple of years but what I have realized is that painting it freehand can be difficult. Today I am going to show you how I made a buffalo check stencil with my Cricut.